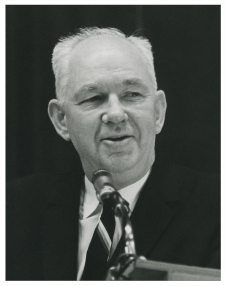 On December 9, 1958, Chowan County native Robert Welch founded the John Birch Society in Indianapolis. Named for a Georgia missionary who was killed by Chinese communists just after the close of World War II, Welch got the society started with a 17-hour speech to a group of 11 businessmen from across the country. A devout Baptist and fervent opponent of communism, Welch came from a prosperous farming family. After graduating from high school at age 12 and completing a degree at UNC, Welch founded a candy business in Massachusetts. He became very successful in that industry, and began to turn his attention to writing books and fighting what he perceived as a coziness with communists inside the federal government. After accusing President Dwight Eisenhower of being a dedicated communist and claiming that communists controlled 60 to 80 percent of the United States, Welch and his organization began to garner widespread media coverage. 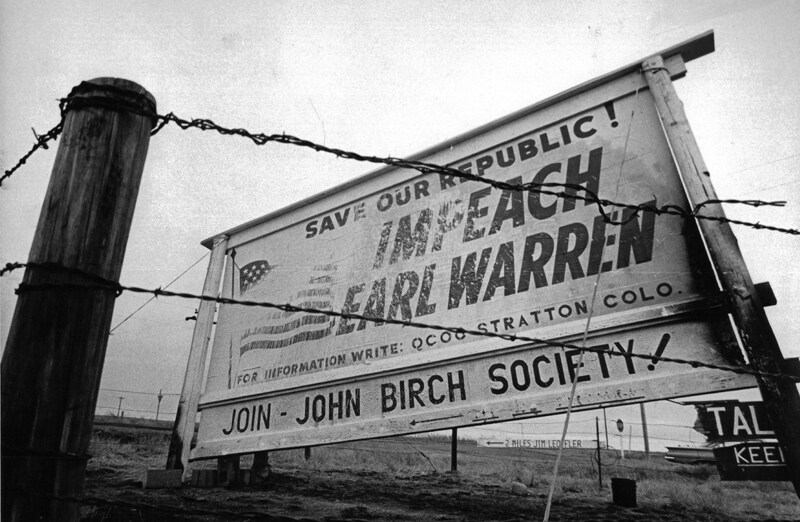 The John Birch Society’s members were known for being secretive and devoted to the anti-communist cause. After peaking in the mid-1960s with around 100,000 members, a staff of more than 250 and an annual budget of $8 million, the organization began a steady decline in lockstep with the diminishing threat posed by communism. Welch retired in 1983 after a stroke and died in 1985.